If you’re like most men in the United States, then you probably can’t remember the last time you had a regular health exam or preventative screening appointment. In our last post, we explained a few of the services and screenings we offer at our men’s health clinic. 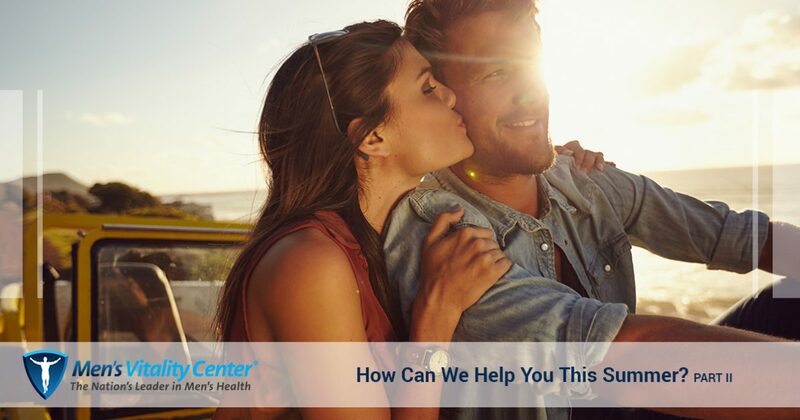 In today’s post, we’ll continue to explain even more about services and screenings we offer here at Men’s Vitality Center. We know that the summer is busy and full of fun activities with friends and family, but it’s also important to ensure that you’re protecting your health and well-being. Read on to learn more about our men’s health services, and get in touch with our office today to schedule an appointment! Americans are busier than ever before, leading to high stress levels and less time to exercise. 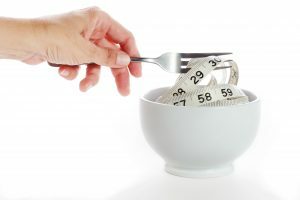 We discussed the negative health effects of obesity in a previous post, but we’ll reiterate the main point here: losing that extra weight is a vital component of your well-being. At Men’s Vitality Center in Glendale, we’ve helped hundreds of men lose unwanted weight through our weight loss programs for men. Whether you need to lose 20 pounds or 200, our physicians will be here to help you through every step of your transformation. High cholesterol can be caused by a variety of factors, including genes, diet, and lifestyle. While the body needs cholesterol to function properly, high cholesterol levels can put you at risk of stroke, diabetes, heart disease, and a number of other serious conditions. If you have a family history of high cholesterol, or if you know that your cholesterol is already high, then you should get in touch with our office to schedule a cholesterol management appointment. Our physicians can help you develop lasting lifestyle changes that naturally lower your cholesterol, and they can also help you find a cholesterol medication that treats your symptoms without compromising your overall quality of life. A good night’s sleep is a cornerstone of good health, but many men in the United States are getting far less sleep than their bodies require. Insomnia and interrupted sleep can lead to low testosterone levels, and part of our testosterone replacement therapy program is helping our patients get better sleep each night. If you’re having trouble falling asleep and staying asleep, or if you’re not feeling refreshed after getting a full night’s rest, then get in touch with one of our physicians to schedule an evaluation. Whether you need to make simple lifestyle changes or you need testosterone replacement therapy, we’ll help you find a course of action that resolves your symptoms. Men’s Vitality Center is proud to be Glendale’s leading Men’s Health Clinic. Whether you need to begin testosterone replacement therapy or you need a preventative health screening, we have the staff and the resources you need to protect your health. We’re committed to increasing your quality of life, so don’t wait to get in touch with us to schedule an appointment!